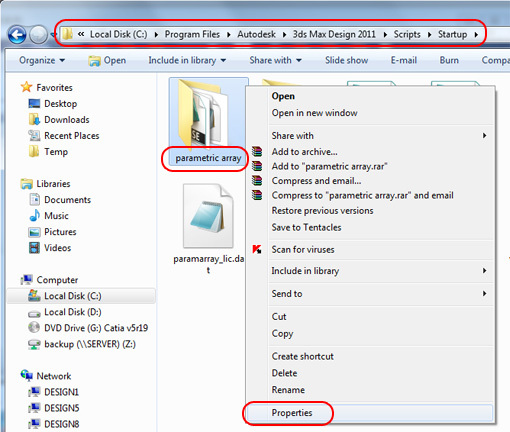 1.please do not forget to choose right folder while installing Parametric Array. 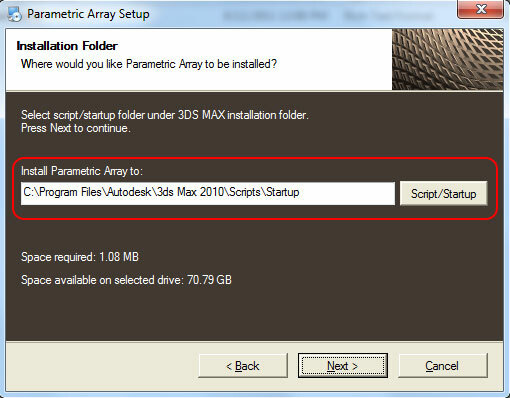 PARA installer choose the Autodesk MAX 2010 script/startup folder by default and you need to set this folder to your MAX “installation folder/script/start up”. 2. 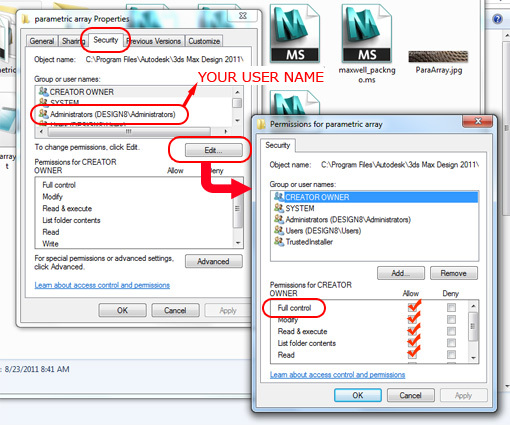 After installing PARA 2.1 you may need to change the security settings for one of the folder under script/start up folder. 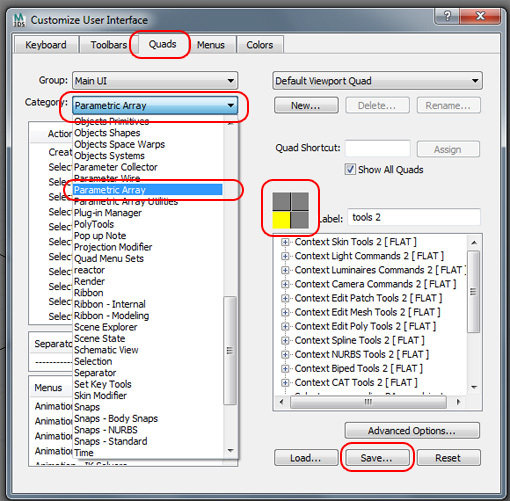 right-click on “parametric array” folder and choose properties. Under the security settings choose your current user name and press the Edit button. from new window pick the same user name and click on “FULL CONTROL”. 3. if you got a long list of UPDATE ARRAY in your MAX quad menu it’s probably because of running the plug-in multiple times in from the max script menu or trying to install it multiple times. 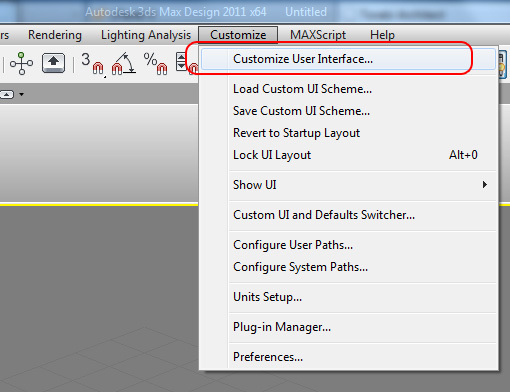 To remove these extra commands pick Customize User Interface from Customize menu. 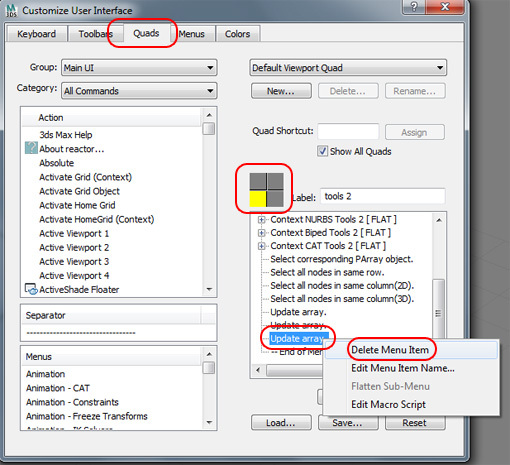 From the Quad tab click on the desired menu (the yellow box) and delete the unwanted items from right-click menu. you may want to add the parametric array commands to your user interface . open the Category menu and choose the parametric array. all commands are listed and you can assign them to any type of user interface control that you want.